I’m sending my best to everyone in Naperville as my family and I enjoy a wonderful vacation in South Haven, Michigan. For anyone who has not been to South Haven, I recommend a visit as there are many wonderful attributes to this quaint little lakeshore town. The harbor reminds me allot of a New England town with the downtown area reminding me allot of our hometown of Naperville. Ironically, the other day as my boys and I were swimming back to the beach I was approached by a woman who asked if I would swim out and help her sons get back to shore as they had a large thick floating mat and were struggling a bit as they drifted further out into the lake. After helping them back to the shore, my wife and I were talking with the boy’s mother and ironically learned that she was the sister of Naperville’s own Ray Kinney. Small world indeed… especially when it comes to world of Naperville. When I learned earlier this week the Space Shuttle Atlantis and the International Space Station could be seen flying overhead here in Naperville, I took both my curiosity and video camera outside around 9:31 PM on Tuesday evening to see what I might capture. The result amazed me in how well you could see the two star-like lights moving rapidly through the skies. In addition, I was able to capture an excellent view of the planet Venus alongside the moon. Click below to see my edited footage which is now on You Tube. Though it’s tough to get a feel for exactly how fast both were moving in the compressed video (dv version looks much better), I can say from the time I first saw both lights moving through the sky from the far west it only took a couple of minutes for them to disappear far into the east. Even more, I couldn’t believe who well Venus showed up as I zoomed as far as I could toward the crescent moon. For those wondering, I was using a Canon ZR-85 miniDV camera… nothing special but the result wasn’t too bad. to stop and study the varying styles and features in understanding why the blocks of new and original architecture take on such visual charm and clean breakpoints between connected and adjacent buildings. Take a look yourself and you can see the amazing detail that still remains as a reminder of days in Naperville long ago when you were more likely to get your horse and buggy stuck in mud along Jefferson Ave. rather than sit in traffic. 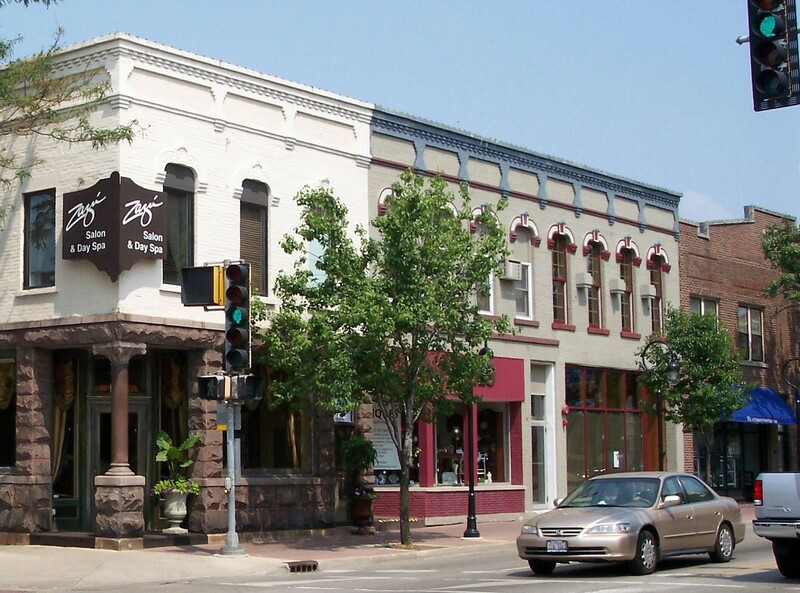 It’s a credit to the leaders and city planners of Naperville who have protected and preserved the authentic look and feel of downtown Naperville architecture, both new and old. 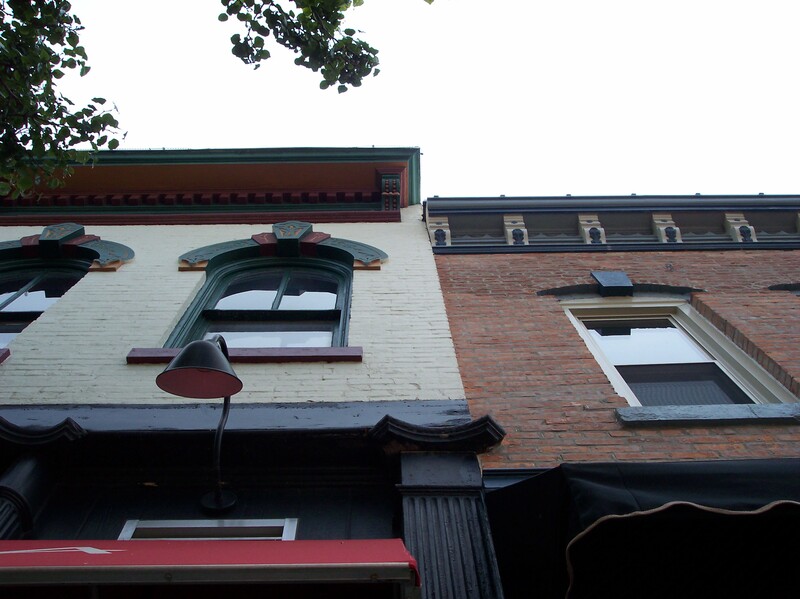 Much of the ornate style has been preserved in much of the new construction which has taken place and I believe it to be very important as a community we continue to preserve a strong vision for the detailed intracacy of what downtown architecture should look and feel like. Combine the authentic architecture and abundance of mature trees along the streets in downtown and the view almost tells its own story. If you ever have the chance, drop by the Naper Settlement’s downstairs museum or Andersons Bookshop to look at books of early Naperville photos and see how much of the architecture remains the same. I continue to hope the preservation of old architecture and character of new architecture will preserve the charm of downtown. 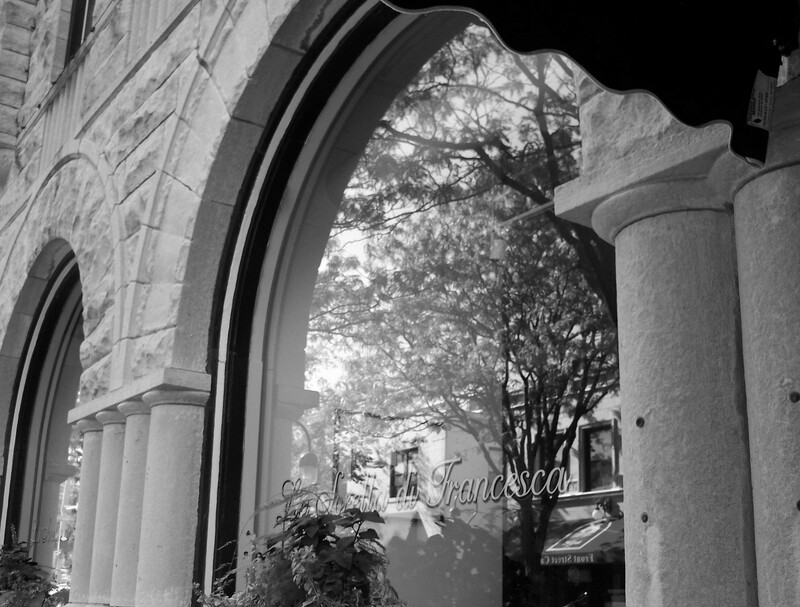 Though I’ve featured the photo below in the past, I would be remiss if I wrote of the windows of downtown Naperville without mentioning the old city hall building, which now houses La Sorella di Francesca. 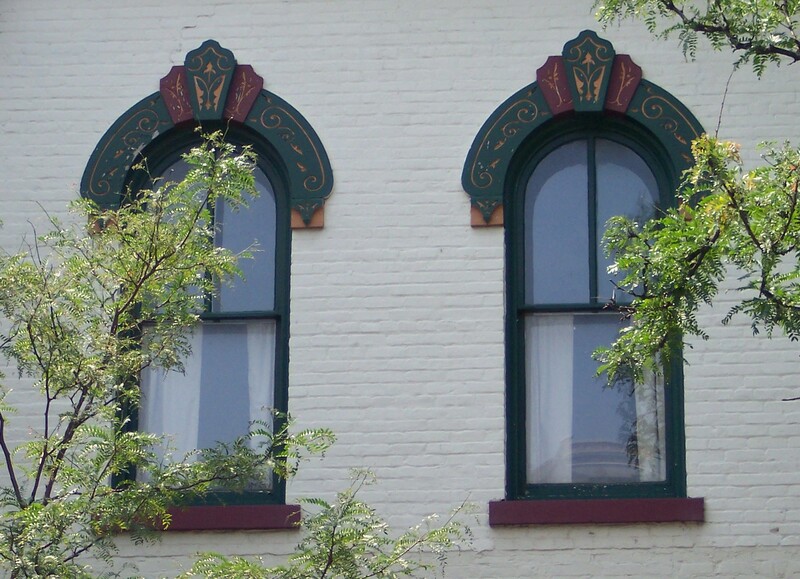 The twin arching windows which sit above street level on the first floor are my favorite. As a matter of fact, I have a framed print of this picture hanging on the wall in my office at work, along with a couple of other downtown Naperville prints and photographs I’ve taken in Europe. I encourage you to pause and look more closely at the vintage architecture of downtown Naperville during your next visit. fence, I also glanced down Chicago Avenue at the crowds of people enjoying a wonderful day in Downtown despite the heat. My mind turned to visions of how our community can both support and take advantage of this new hub for the arts. I believe there is a shared vision betwen North Central and the community for the new arts center to be buzzing with activity and opportunities to experience the arts on a daily basis for residents and visitors alike. To place these thoughts in terms of another world class city, I remember a trip to Paris a couple of years ago in which my wife and I saw a flyer for a chamber concert which was to take place that night featuring both a small orchestra and choir at the Magdeline Church (the site of the funeral of my favorite composer of all time, Chopin). Mozart’s Requiem and Vivaldi’s Four Seasons were on the bill for the evening and the experience is one I will never forget. While I was moved by this special experience, the reality is these types of concerts are quite commonplace and somewhat informal in Paris. I was amazed by the admission process as you simply showed up at the church, stood in line, paid a person sitting at a folding table with a small cash box and then you simply sat wherever you wanted. In Paris, these types of concerts are common place and are performed by a number of local groups and ensembles weekly. The point is, the opportunity to experience these types of events are regular and quite commonplace. As a community we must all get involved whether it be through financial support, spreading the word or coming together to determine how we can maximize the community use and presence of North Central’s world class arts facility. We must foster and promote the artistic soul within our community and welcome artists and arts organizations from outside our community to participate from both an amatuer and professional level. In my mind, it all begins with a centralized arts alliance or local arts commission which develops and executes a coordinated master cultural plan and brings arts organizations to the table to work together. This same model has been replicated successfully in acclaimed arts communities throughout the country, such as Austin, TX, Arlington County, VA and even Chicago. 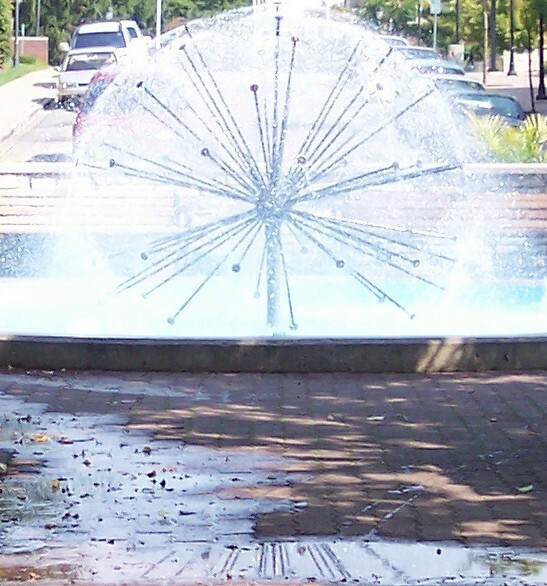 When we look back at the evolution of the Special Events and Cultural Arts Fund (SECA) in Naperville, I believe strongly that much of the confusion arose from lack of such a formal alliance of local arts organizations and stakeholders. In essence, the cart was placed before the horse given the fact we had an abundance of de-centralized stakeholders working from the standpoint of their own interests and not from the mission, goals and values of a centralized arts alliance or arts commission. 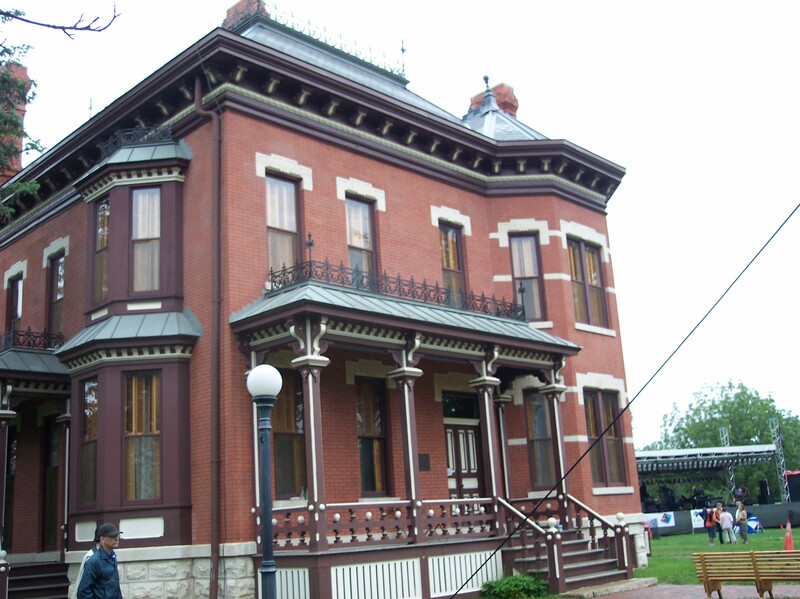 Music and the arts has been an intimate part of Naperville’s history dating back to Joseph Naper and the early settlers who brought with them musical instruments and enjoyed impromptu performances within homes and other gathering places as our community grew. To succeed in building a world class arts community, we must unify our energies, creativity, expertise and resources to market and promote a well-coordinated arts presence locally, regionally, nationally and even globally. A presence which becomes a daily part of life in Naperville full of opportunities to experience and/or participate in the arts and artistic expression. A vibrant arts scene which utilizes artists, space and technology to offers a truly innovative experience. 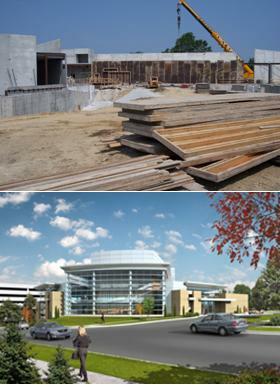 All of which will build upon the many wonderful arts traditions and organizations which are currently present in Naperville. It all begins in coming together and working together. Please share your own thoughts and comments. my son and I headed out early this morning to beat the crowds and temperature at Naper Days. Naper Days is truly a family festival with a little something for everyone. There is a main stage full of music ranging from local amatuer to professional. This morning we enjoyed a little bit of the younger teenage local bands and I want to encourage all of them to keep living their passion. You all did great! For the toddlers, there is an abundance of play areas full of moon jumps of all shapes, sizes and themes. The Carriage Club of Naperville www.carriageclubofnaperville.com featured a free slide obstacle course and moon jump which my son enjoyed thoroughly shortly after we arrived. The main toddler play area is fenced in and had everything from mini hand-controlled paddleboats to a long tunnel obstacle course to a dome full of balloons blowing all around. I want to thank the young staff who was managing the area as they were extremely conscientous of everyone waiting their turn and were genuinely friendly to the kids. I believe the area was sponsored by partysaver.com www.partysaver.com . For the adults, there is no shortage of food and cold beer to sample. The centerpiece is the Taste of Naperville, which plays upon the theme of the larger Taste of Chicago. At each of the vendor booths, you could shell out a couple of bucks for taste samples ranging from skewered shrimp to mini filet sandwiches. Vendors at this years Naper Days include: Catch 35, Hugos Frog Bar, Riva, Sullivans, Braconis, City Club, Belgios Catering, Chef by Request, Angeli’s Catering, Famous Daves BBQ, India Harvest, Timpano, Cold Stone Creamery and Arbor Vitae Java and Juice. I want to take a moment to deliver a special note about Arbor Vitae Java and Juice www.java-juice.com. As you may or may not know, Arbor Vitae was a cherished independent coffee and juice shop which until recently was located in downtown Naperville on Jackson Avenue next to Egg Harbor Cafe. They closed their downtown doors and have since moved out the NIU’s Naperville Campus on Diehl Road. Additionally, they sell their coffee at Casey’s Supermarket in Gartner Plaza South of downtown off of Washington Street. Like many, I was heartbroken to see Arbor Vitae leave downtown given the fact the place had independent character and spirit and the fact there are already three Starbucks outlets in downtown (including Barnes & Nobles). I have nothing against Starbucks and occaisionally drop by for an iced coffee; however, there is something wrong when downtown has three Starbucks forcing an independent coffee house out of business. I encourage everyone to show support to Arbor Vitae and check them out either at their Diehl Road location or pick up their coffee at Casey’s. Maybe one day they will reappear in downtown. Also at Naper Days is a children’s craft and performance area sponsored by the DuPage Childrens Museuem www.dupagechildrensmuseum.org . I caught up with a couple of neighbors from our street participating in the Corn Bag Toss tournament. As of this writing, Todd and Ken had made it to the second round. Aside from the many temporary attractions, your $5 admission also gives you access to the grounds and buildings of Naper Settlement which is worth the price of admisssion in itself. In addition to the outdoor buildings, if you’ve never been to the indoor museum in the lower level of the Pre-Emption house I strongly encourage you to do so as it features relics and art which tell the story of Naperville’s history. Finally, it’s worth noting that Naper Day’s major sponsors are the Naperville Sun, the Carriage Club of Naperville, First National Bank of Naperville, Comcast and the City of Naperville which underwrites part of the festival with a grant from the Special Event and Cultural Amenities Fund. Beyond the major sponsors, there are also a myriad of business and indivdual sponsors which can be viewed at http://www.naperdays.org/index.php?id=653 . I encourage you to support all of those who support all that makes Naperville and it’s many festivals great. If you happen to read this before the end of the weekend, Naper Days runs through tomorrow (June 17) at the Naper Settlement on Aurora Avenue in downtown Naperville. To learn more, visit www.naperdays.org . Photography is one of my many artistic passions. 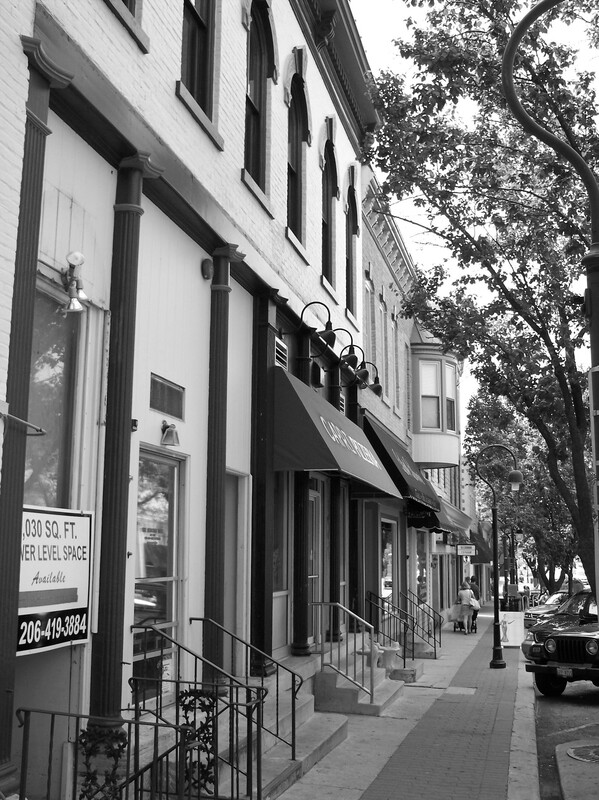 Downtown Naperville has served as a wonderful subject over the past couple of years. No matter how many times I head out with my camera, there is always something new that I find in experiencing downtown through my viewfinder. There’s no better way to appreciate the form, symmetry, textures and overall architecture of a community than to view it from the many angles and perspectives of the photographic eye. Below are a few of my favorite pictures from my personal photo collection. 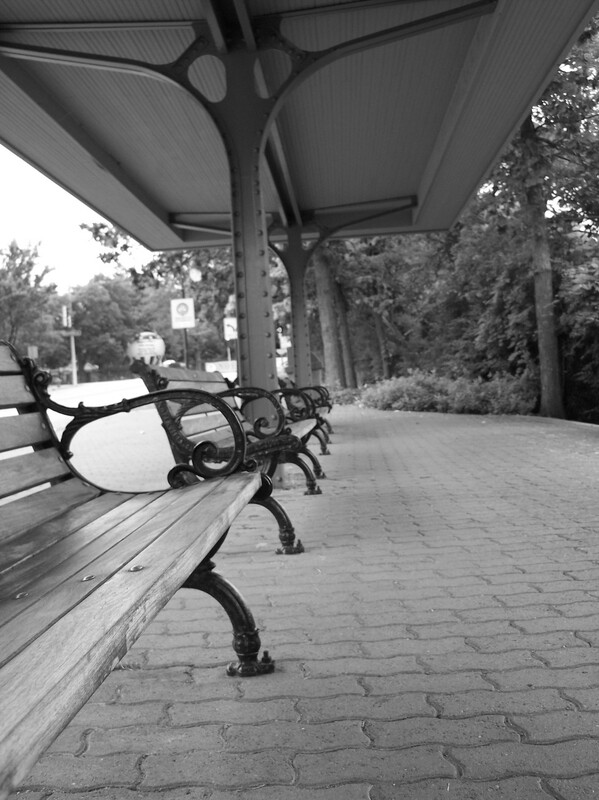 You will quickly notice that I love to utilize black-and-white prints of many of my Naperville pictures as it elicits vintage charm of our community. 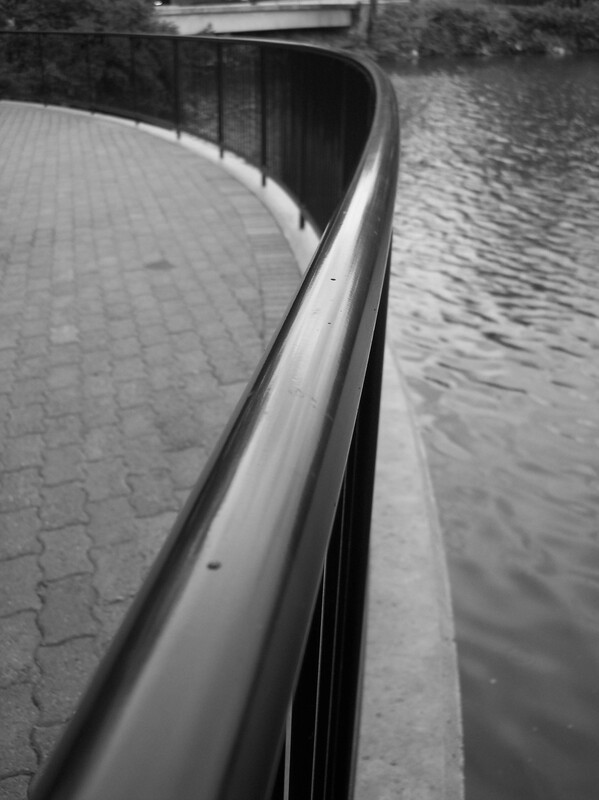 This arching rail can be found just west of Eagle Street overlooking the paddleboat quarry. A set of three benches beneath a shelter located near the corner of Eagle Street and Aurora Avenue, which reminds me a bit of Paris. 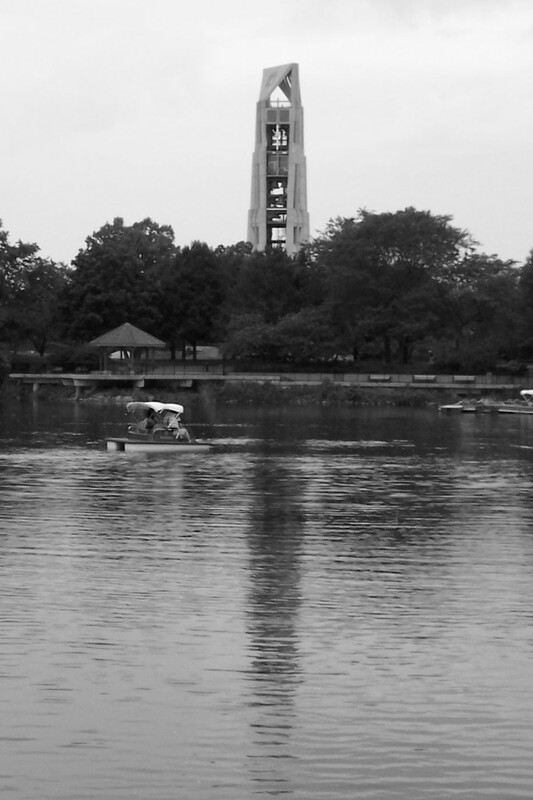 The Carillon on Rotary Hill reflecting upon the tranquil waters of the paddleboat quarry. 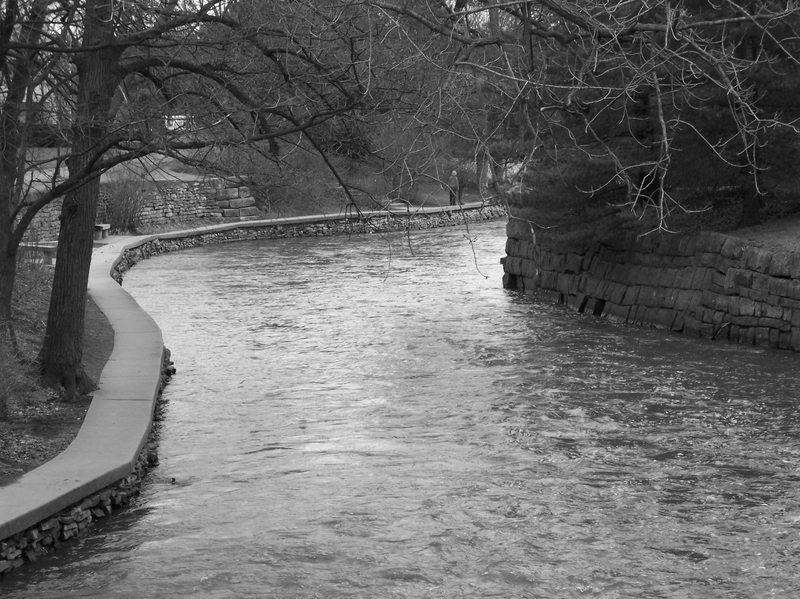 The flowing curves of the Riverwalk in late Fall. The two signature arch windows of the old city hall which now houses La Sorella di Francesca. 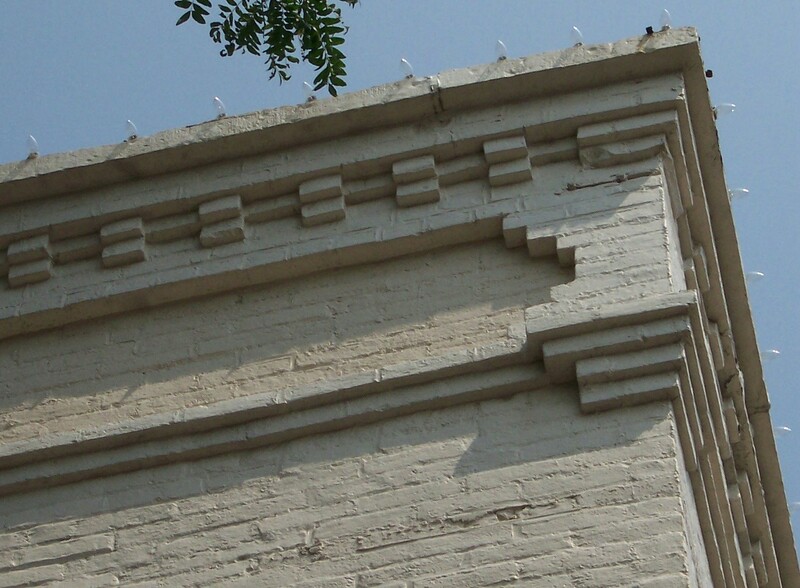 This is one of my favorite architectural features of downtown which has endured since the turn of the last century. 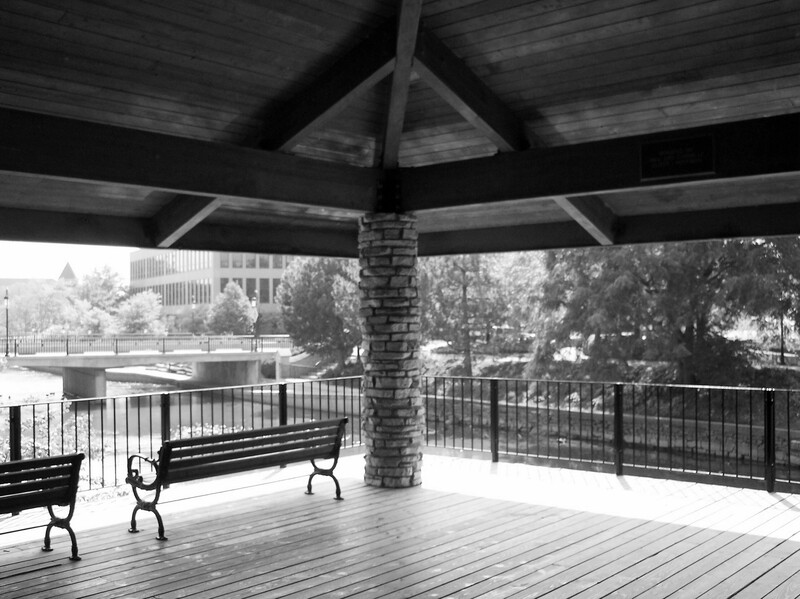 A pavillon just off of the Riverwalk with its peaceful benches overlooking the Eagle Street bridge. 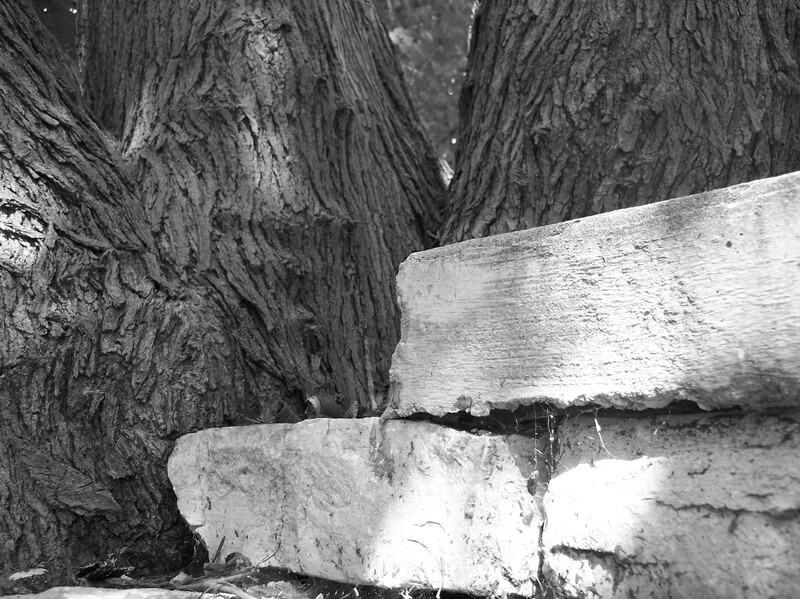 The giant trunk of an old tree meeting the stone wall of the Riverwalk joining the past and present along the DuPage River where Joe Naper and Naperville’s earliest settlers established roots of their own. 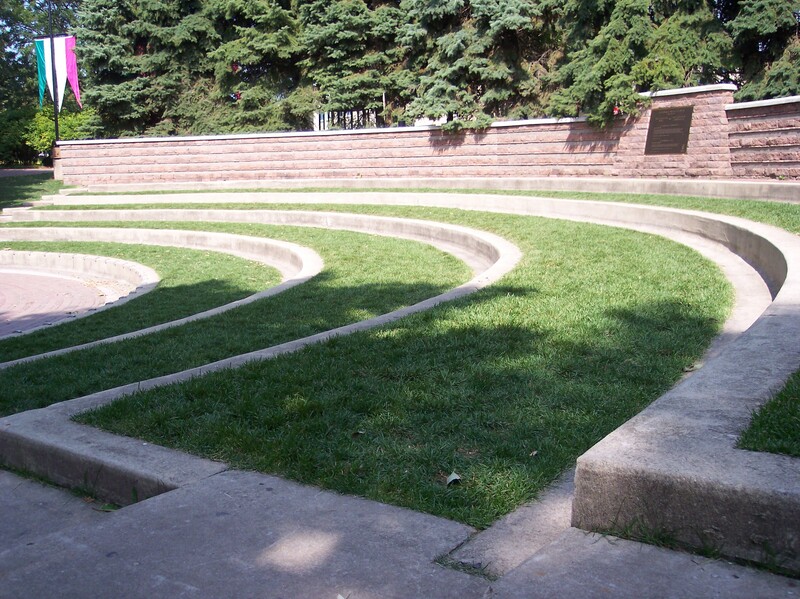 The curving symmetry of the outdoor ampitheatre which resides in the dip of the Riverwalk between Main Street and Eagle Street. Vintage Naperville architecture still thriving thanks to its modern occupants. I personally love how these interconnected buildings have their own unique break lines with color and textures which create unique character for each space. 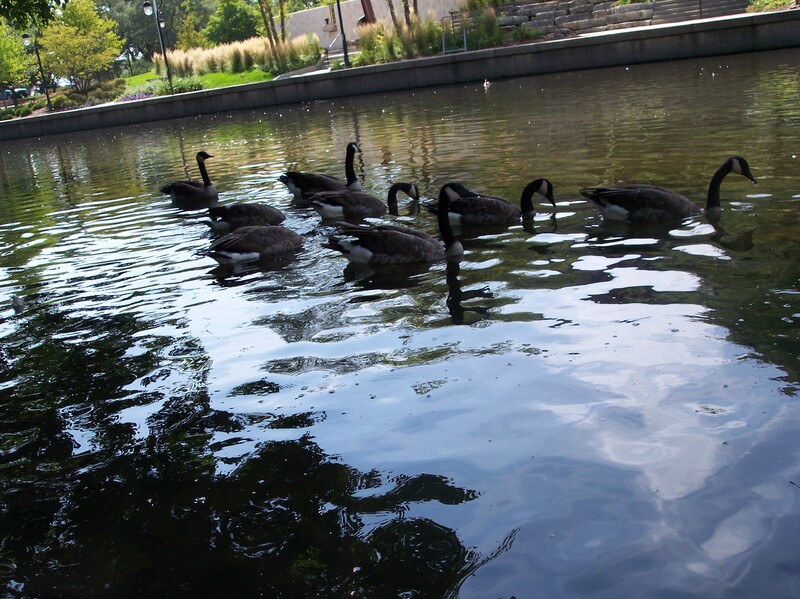 The Riverwalks true residents basking in the calm glassy waters of the DuPage River. Please note that all images above are copyrighted materials with all rights reserved by Stuart Meyer. Unauthorized reproduction or use of the images is prohibited. If you are interested in using any of these images or obtaining prints, please contact me at worldofnaperville@yahoo.com.